The Magento AJAX Cart Extension allows user to add, update and remove products from their shopping cart in a much easier way without the need of page reloading or refreshing. Generally, the customer does not have the patience to wait for page reloads simply end up with a cancelled purchase. 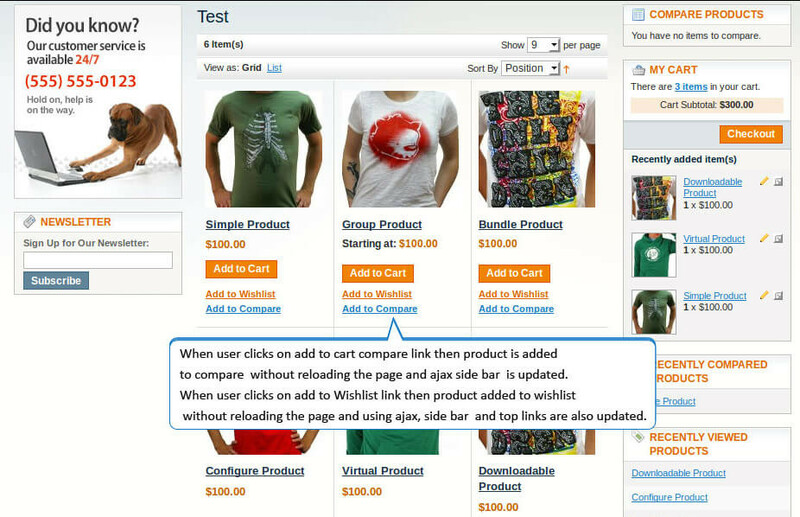 The Ajax Cart Extension for Magento allows the customer to add and remove products without having to continuously click on the “Update” button. 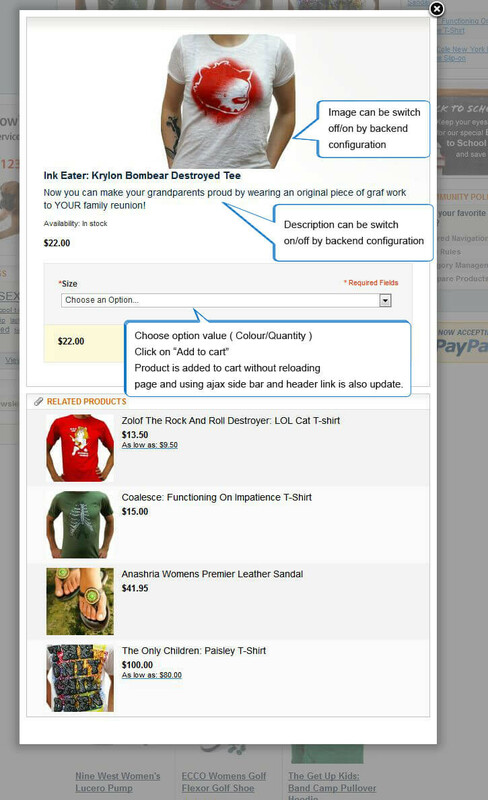 The shopping cart gets automatically refreshed with each addition or deletion of the product. The customer’s enjoys the continuous online shopping experience without any interruption thereby completing the shopping process. 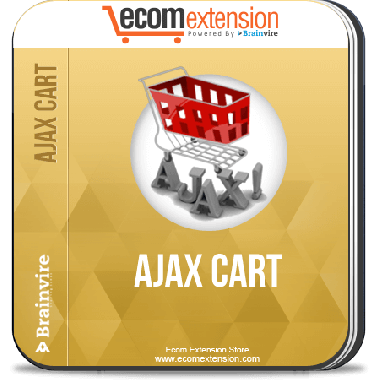 Ajax Cart Extension is an immediate and effective solution to continue shopping without waiting for the pages to get refreshed. 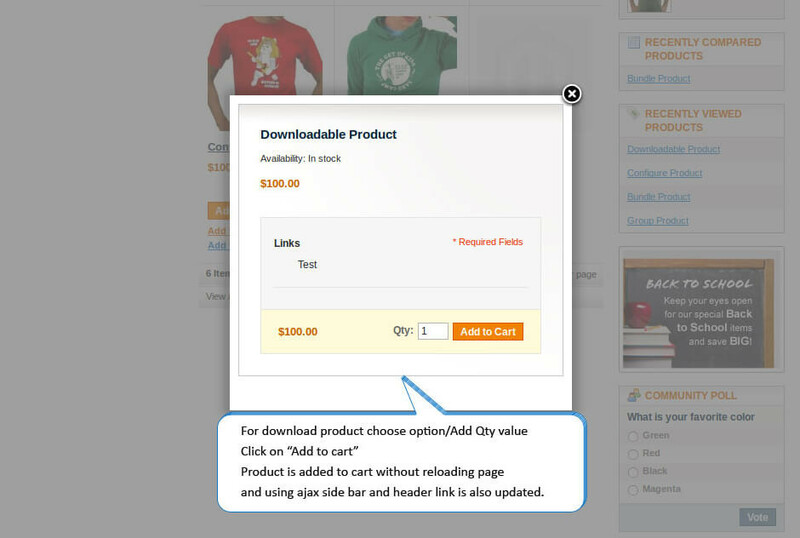 Product image and description can display into popup with enable disable functionality. User can switch on/off related product block through backend settings. 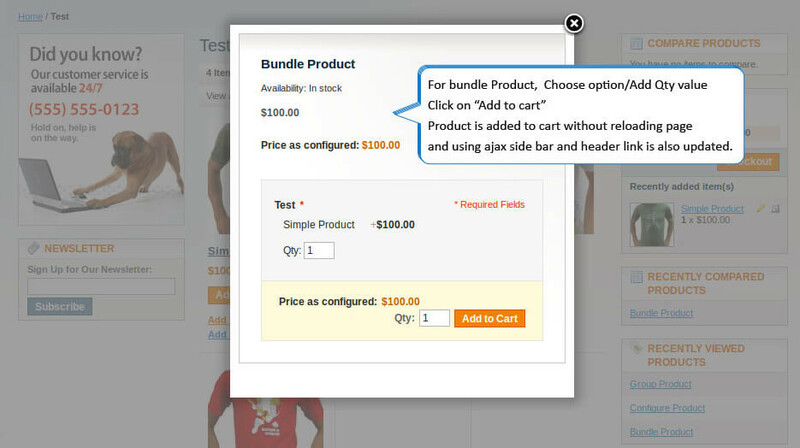 All native Magento product type support: Ajax Cart supports all Magento product types including grouped and bundle products as well as gift cards. 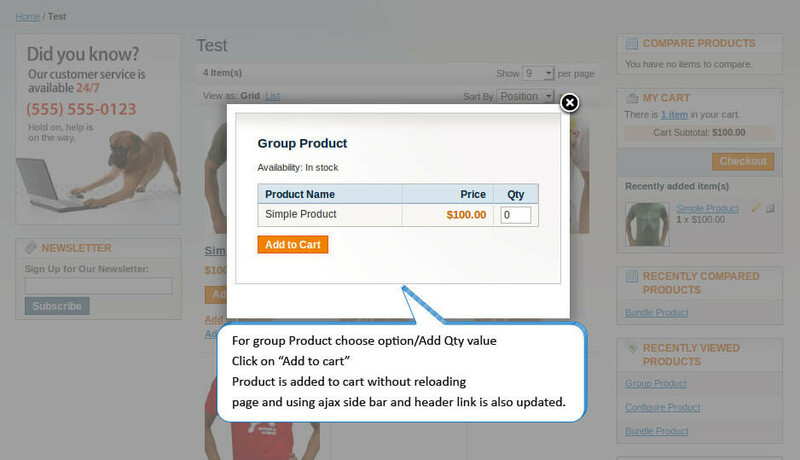 Ability to specify quantity for products with options in pop-up window: The customer can select some options and can change the number of items which gets automatically reflected in a pop-up window. To attract customer’s attention, gain customer’s loyalty and increase sales of your store, Ajax Cart is the suitable choice. 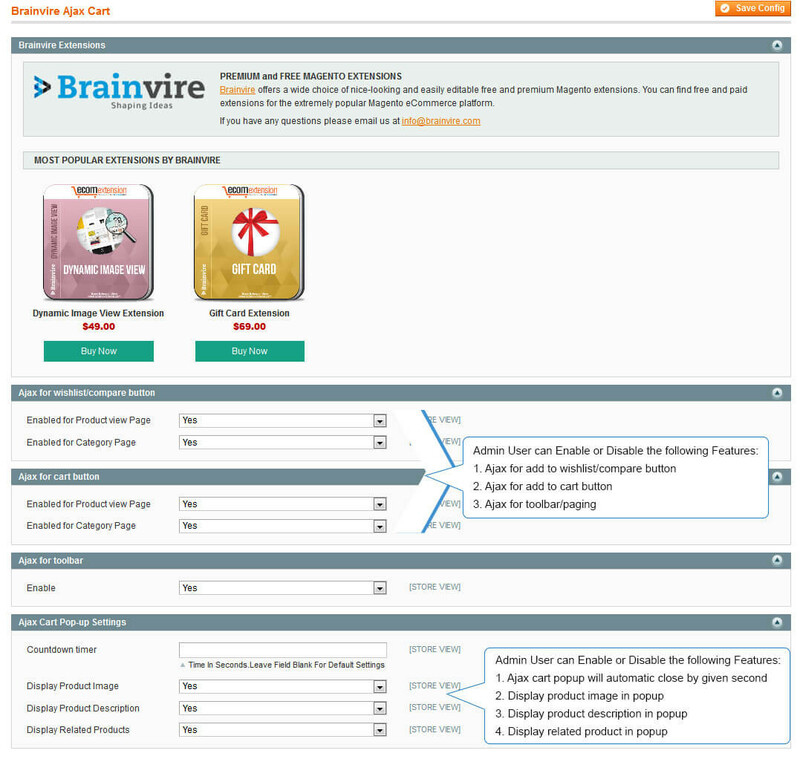 Do contact us today at +1.631.897.7276 or send an email to us at info@brainvire.com .